Port Douglas - Cairns - Far North Queensland - LA VELOCITA. Riding out of Port Douglas early in the morning we quickly leave behind the manicured grass verges and palm tree lined streets and turn south onto the Captain Cook Highway. We pass Craiglie in the blink of an eye and hit open road and sugar cane fields. The road is pretty flat here with the slightest hint of uphill and we start to warm up in the mild but still morning air. As we pass the Mowbray River (9.0km) the road starts heading for the coast and we marvel at the steep slopes of tropical bush to our right and continue to punch along as the temperature begins to rise. As 13km is about to tick over on the Garmin the road opens to the ocean on our left and we are treated to the sun sitting just above the ocean. This is where the fun starts… Over the next 15km or so we are treated to a gradual rise in the road with some pretty steep pinch climbs and descents. The road winds its way gradually upwards until we reach the high point of the ride, Rex’s Lookout, 25km from Port Douglas (110m elevation). From here we drop downhill for a couple of kilometres, heading back inland and passing Hartley's Crocodile Adventures (Top up on water here if needed). From here we continue south, escaping the intensifying sun with shelter from the forest canopy. We then pop back out onto the coast and wind our way along endless beaches, rocks and blue ocean. At the 40km mark we drop down into Ellis Beach and fill up on water and get some food on board. There is an option here to ride on to Cairns but we’d recommend turning back here or riding the extra 5km to Palm Cove. If you are really keen on racking up a few more kilometres you can continue to Cairns and turn there for a round trip of approximately 130km. 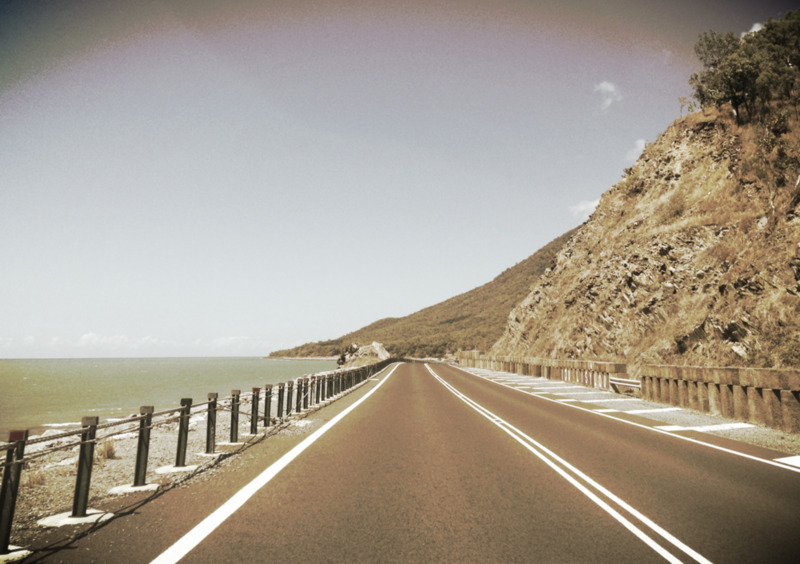 Past Palm Cove, the road cuts back inland opens up to flat straighter roads and kilometre after kilometre of sugar cane fields, before meeting the northern suburbs of Cairns and the airport. The return trip to Port Douglas is just as enjoyable, the view north is mesmerising, so make sure you keep your eyes on the road! We climb back up to Rex’s lookout and this time stop to watch the hang gliders launching from the cliff top. The ride back to Port Douglas passes quickly with a nice tailwind and we are soon at Origin Espresso - Four Mile Roasters (corner Grant and Warner Street) for a great coffee. 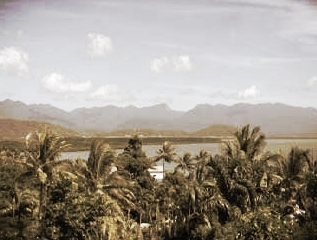 Ride – Port Douglas to Ellis Beach (80km) / Palm Cove (90km) / Cairns (130km) return. Terrain – Coastal, flat sections with multiple short to medium climbs with varied gradient. Roads – Average roads, very narrow shoulder at points. High traffic on return to Port Douglas. Distance – Return 80km to 130km. Hydrate – Hartley’s Creek, Ellis Beach, Palm Cove. Tips – Go early, avoid the sun and get back before too much traffic traffic builds on the Captain Cook Hwy. Fly – Jetstar, Virgin Australia, Tiger and Qantas fly to Cairns daily from most Australian capital cities – shop around for the best deal and remember to factor in additional luggage for your bike. La Velocita chose Jetstar. Either get a bus transfer or hire a car for the trip to Port Douglas. Martinique on Macrosson for something self contained and close to town. The Point Apartments for something more spectacular. Sea Temple for resort style. Budget – A few good takeaway options, Malone’s Butcher for great meat to cook on the BBQ, there is also good reef fish available at Coles in Port Douglas. Intermediate – Port Douglas Surf Club (Crn Mowbray St and Esplanade). Top –Salsa Bar and Grill or Nautilus Restaurant. Coffee – We could not beat Origin Espresso at Four Mile Roasters.